Looking for a fun weekend project that promises to improve every last part of the forthcoming summer? 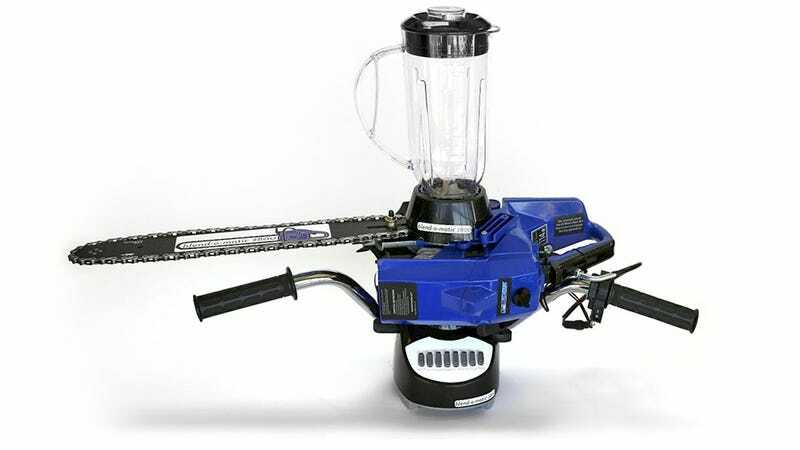 Do what Instructables’ Mike Warren did and combine a gas-powered chainsaw with a blender to make a machine that churns the smoothest frozen margaritas on the planet, without the need for a power cord. Warren has posted a detailed how-to over on Instructables. (It includes a motorcycle throttle grip to control the intensity of the blending, obviously.) Ice is no challenge for this creation, and you could probably also use it to turn rocks into sand if you need a place to sprawl out and enjoy your drink.